Sok Phat, The Cambodia Taxi Driver. Your Private driver Tours, Cambodia Airport Transfer, Cambodia tours. Save Time, Money Book Before You Go.! THE FULLY LICENSED ENGLISH-SPEAKING DRIVER'' YOU CAN TRUST! WE CARE AND DO THE BEST! The most truted, punctual friendly, safe comfortable driving, informative driver. 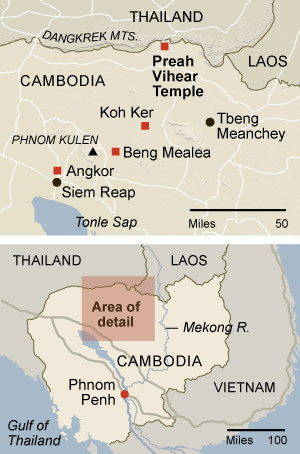 Angkor is the largest religious Hindu building in the world. it's listed to World Heritage in 1993 and in 2015 one of first destation in Asia and second wonder in world. Today 2018 is one most popular to go on the earth.! Through this website I would like to give some information about the land of my birth and city, Siem Reap Angkor, Cambodia, around temples complex, please enjoy! My name is Sok Phat, but you can call me " Phat " its easier. i am a honest fluently English-speaking driver. I am a native and have been providing my services for tourists to Angkor temples around the country since 2002. I have extensive experience and a founder of CambodiaTaxi Driver.com Toda, we have worked with team of five. we are your reliable, informative, well trained, licensed drivers and provide cofficail trained licensed tour guide from department of ministry of tourism. 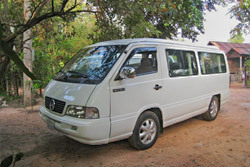 we will transport you in Tuk Tuk, well-Maintenance Air-conditioned Car sedan, SUV Lexus-Hylander Car 5seats, Mini Van. Please, what kind services transport and tour packages you would like book us.? I and Team ( drivers ) We know well of our Country.! 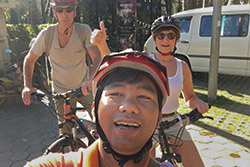 will be happy to be your local drivers, tour guides and assistants while you are in Siem Reap Angkor and adventure Cambodia tours. we are friendly, punctual, informative drivers . we will drive you by safe, comfortable driving. To make sure our clients are safe, enjoy, happy and smile. Your business will be greatly appreciated, If you choose to work with us. In our services included Siem Reap guide book with brief explanation about Angkor Wat and Cambodia history. Moreover, We are fully licensed local driver in Siem Reap, Angkor Wat other places Cambodia. Many years experience provided ours transport services and tour guide so you can hire us with confidence. 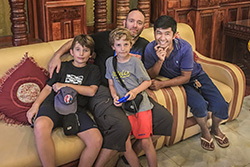 If as Tour with Drivers also can help to plan or give some suggestion if you have short time in Siem Reap Angkor for your tour itinneries and more information in Cambodia. Phat also can plan your trip to other provinces with basic tourism sites. please send your email and will be happy to discuss. 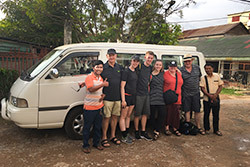 Phat and Team have very good sense of humor and a friendly Cambodia taxi driver who can make your tour interesting through Angkor temples history, country sidetours, culture and exiting activities by our communities. I and Team are dedicated best service to ensuring our clients are being well taken care of, comfortable and joy!. Phat and Team are serious to drive you safe, comfortable driving and bring you safe home including good memories. Tour Guide, Guest Houses, Home Stay, Country Side Tours, Bird Watching Tours, Hotels and Restaurants. The Promotion Tour Offer Transportation with English-speaking Driver for Angkor Wat Touring "
Need a local family taxi and transfer services with safe friendly reliable price in Siem Reap ? "our tour guard and angkot driver... good quality of service and safe drive...." "this is our local tour guard...So phat.. he is very nice and polite..he will ensure u having the best and wonderful trip in siem reap...I highly recommended to everyone that wish to explore the Khmer temple of angkor wat...." "its was wonderful time travel siem reap angkor wat with u phat.... thank you very much for your excellent service. This Promotion from April - until - Junly.!!! if have a request hotel booking i also can book room for you in good prices and i dedicate do the best for your trip unforgetable, memorable in Cambodia Angkor Wat- temples. The Other Thing You Can Experience....!! any farther more information contract me below.